It seems the frequently-talked-about June Sporadic E lull has hit the Northern Virginia area as of June 15. 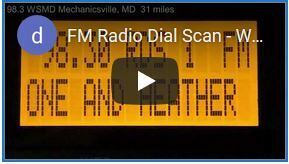 Except for an 8-minute opening with a MUF of 90.7 FM on June 7, there has been no FM Es observed in Northern Virginia since June 1. Other regional DXers and those elsewhere in the US have had FM Es in the past week and a half, so I’m sure I’m due for a good opening any time now. 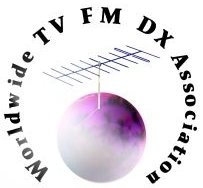 European FM DXers have received 144 MHz MUF openings seemingly most days this month, of which me and many other US DXers have been envious of. Interestingly, I’m noticing a trend this year of west coast DXers getting more Es than the east coast, the first I’ve seen since monitoring daily propagation in 2006. Although the majority of the openings only make it to the amateur radio band below 88.1 FM, I am seeing more red lines on the DX Sherlock map in the west coast more than on the east coast. We are close to the middle of the 2013 season, which I consider to be the last week of June. To date this year, I have only had a small handful of sustained openings, with 12 new logs. Log totals aren’t a good indicator of an Es season as a great opening with 100s of signals logged could still yield no new logs, but I do hope to log more than what I received last year, 38 total logs. To date, I’ve had 12 openings this year, up from 8 in 2012. Barring any extended lull or premature end to the season, I still believe this year has the potential to clobber the performance of seasons 2012 and 2011, which were bad locally. Read my 2011 and 2012 Es season reviews. 10 of the Es openings this year were in May, a month were I typically only have less than 3 openings, even in the best years. This is refreshing, since FM Es here have been going downhill in all categories reviewed since 2009. I plan on posting my in-depth 2013 E-Skip Season Review within a few days of Aug. 1, so stay tuned for my annual review of the Es season currently in progress! Previous PostMeteor scatter 6/8 – 6/9/13. 26 second-long ping, 1 new log and more.Next PostTr opening 6/16/13. 5 new DTV logs and 18 DTV screenshots added.